I'm consolidating my various giveaways into one handy form! You like free books? Free audiobooks? Review copies? All of the above? Just subscribe to my newsletter and you will get to pick one of my books, free. 2 Days Left to Win a Book! Are you a member of Goodreads? 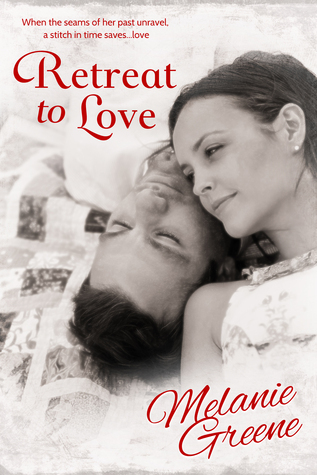 Head over there and put your name in the drawing for a free paperback copy of RETREAT TO LOVE - but hurry! Entries close on 8/17. Giveaway ends August 17, 2015. This site is a finalist! I entered melaniegreene.com in the West Houston RWA's Romancing the URL Contest. And it's doing well so far! I am one of three finalists in the Contemporary Category, so fingers crossed, y'all. Winners announced in August. What do you think? Is my site beautiful enough to win?